No matter how well you care for your teeth and gums, accidents happen. Teeth can be chipped, cracked, or even knocked out suddenly; that pesky craving for sweets could end up leaving you with a cavity before you know it. No matter what the cause is, there’s no reason to feel embarrassed – the last thing you’ll find at the Oklahoma City practice of Dr. Joe Isaacson and his staff is unfair judgment. Instead, we’ll focus wholly on helping to repair damage and restore full beauty and health to your smile, leaving you with a refreshed sense of self-confidence. With various restorative dentistry treatments available, we’ll be sure to select the perfect procedure for your unique needs and desires! 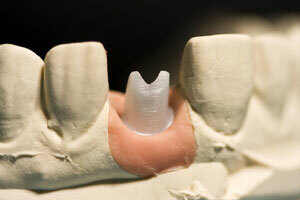 Dental implants – replace missing teeth seamlessly with these sturdy and lifelike replacements! Crown & bridge – multiple unsightly gaps in a row (with healthy teeth on either side) can be replaced all at once with the help of a bridge, lending your smile much-needed stability. Dentures & partials – whether you’re missing only a few teeth or an entire row, dentures and partials are affordable and easy to use, providing patients with a low-key solution. White crowns & fillings – pave over damage and revitalize teeth with these lifelike restorative techniques. Root canals – teeth on the brink of extraction can be rescued and restored with the help of this procedure! Contact our office today to schedule an appointment! Dr. Isaacson and his staff can’t wait to give you new reasons to enjoy your smile and share it with confidence. Located in Oklahoma City, we also serve the areas of Edmond, Yukon, Piedmont, Mustang, and beyond.